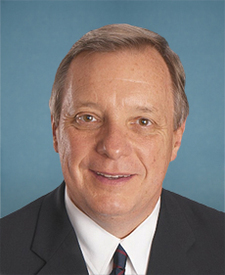 Compare the voting records of Lamar Alexander and Richard J. Durbin in 2017-18. 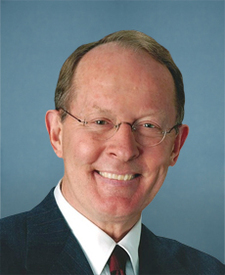 Lamar Alexander and Richard J. Durbin are from different parties and disagreed on 62 percent of votes in the 115th Congress (2017-18). But they didn't always disagree. Out of 562 votes in the 115th Congress, they agreed on 216 votes, including 13 major votes. Nomination Confirmed by a margin of 67 votes. Aug. 23, 2018 — A bill making appropriations for the Department of Defense for the fiscal year ending September 30, 2019, and for other purposes. Bill Passed by a margin of 78 votes. Motion Agreed to by a margin of 44 votes. June 21, 2018 — To terminate a rule relating to the definition of "waters of the United States". Motion to Table Agreed to by a margin of 28 votes. June 21, 2018 — To increase employment for members of the Armed Forces in emerging industries. June 20, 2018 — To prevent the denial of access to records and documents by various inspectors general. June 20, 2018 — To require the Secretary of Veterans Affairs to conduct a study on the effectiveness of the Veterans Crisis Line. Cloture Motion Agreed to by a margin of 72 votes.